As the chief cook and bottle washer in my busy home, I create a lot of dirty dishes. And then I’m the one who has to make sure they’re clean! The truth is, I enjoy baking and cooking. But doing the dishes… not so much. 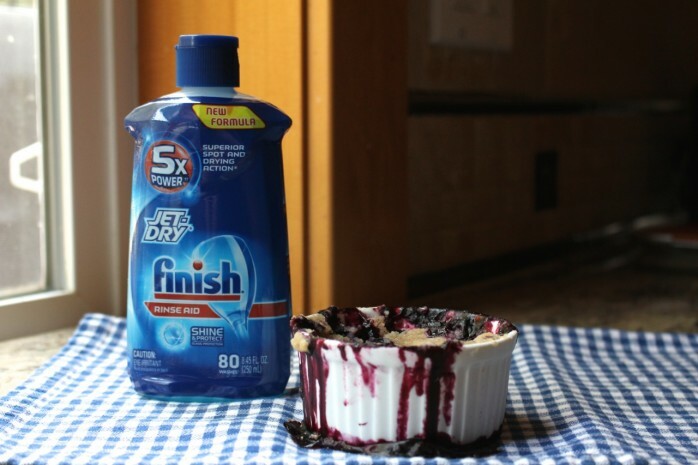 That’s why I’ve been relying on Finish® Jet Dry® for years. Recently, I decided to make Blueberry Crumble for my neighbors who were coming over for a barbecue. 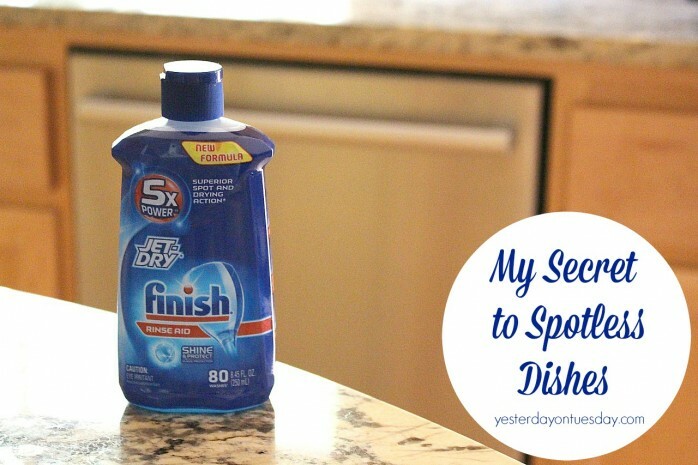 My first stop was Walmart to pick up my secret weapon for keeping dishes spotless: Finish® Jet-Dry®. I know from experience that although that Blueberry Crumble tastes great… it makes for some very dirty ramekins. 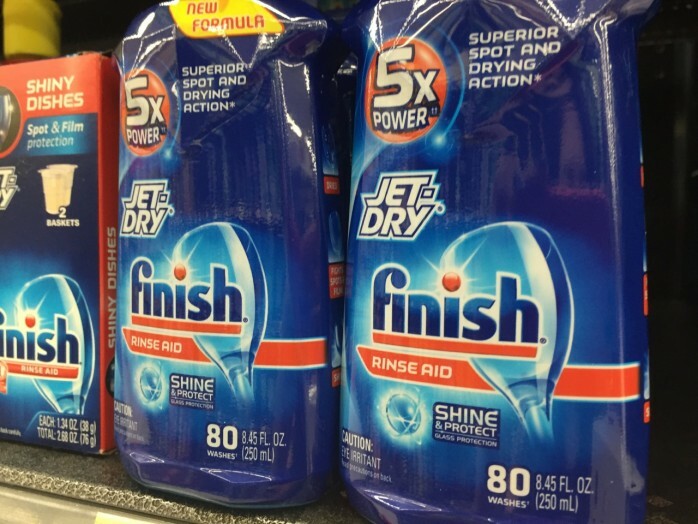 It was easy to spot the Finish® Jet-Dry® on the shelf. I knew with this product on my side– I didn’t need to worry about the dishes from the crumble. 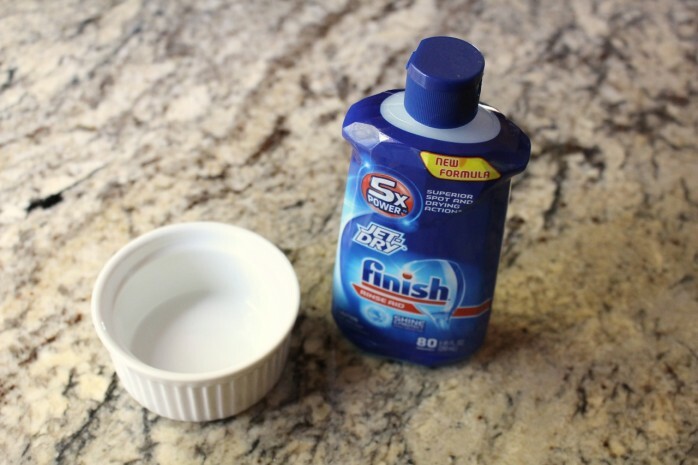 And now you can save money on great Finish® products! Bottom line– you can earn up to $3.00 in rebates on Ibotta from Finish®! 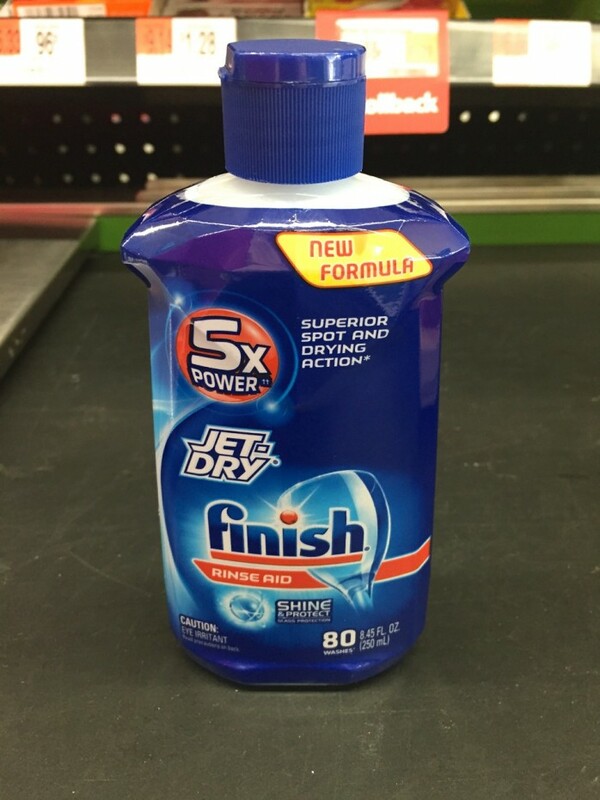 When I went to Walmart, the Finish® Jet-Dry® 8.45oz was priced at $2.96, so with the coupon, that item’s price is slashed to $1.96! What a great value. I used to get super frustrated after spending time pre-washing and loading the glasses and dishes in the dishwasher, just to have them come out wet and spotty. It’s such a bummer when you feel like you need to clean your “clean” dishes. Thanks to Jet-Dry® it’s no longer an issue. Back to my Blueberry Crumble Recipe and our barbecue with the neighbors. My husband got called in to work after just a couple bites of dessert, so this dish was in major need of a wash. I just filled my rinse aid dispenser with Finish® Jet-Dry® Rinse Aid and it was released into the rinse cycle as my dishwasher ran (and it will continue to do so for many many cycles). 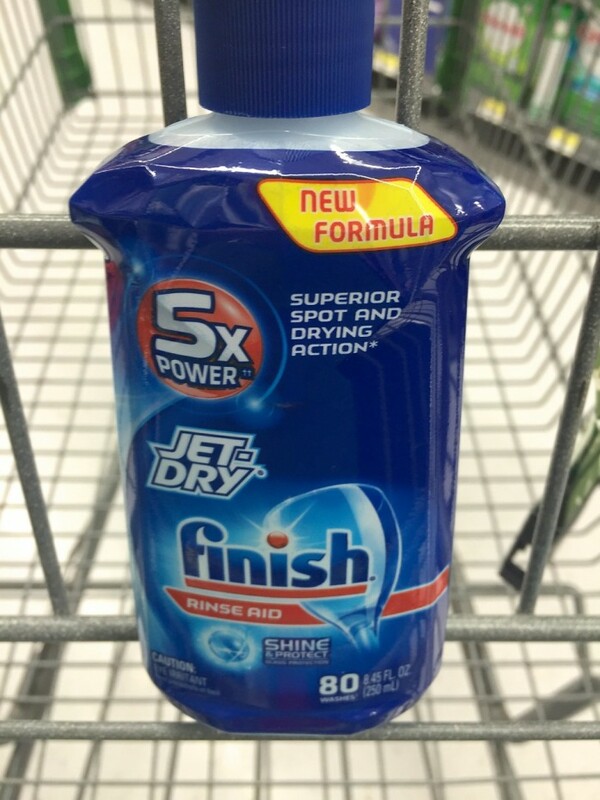 Finish® Jet-Dry® Rinse Aid new formula with glass protecting has a whopping 5x power actions and helps to remove spots and dry dishes better than ever before. 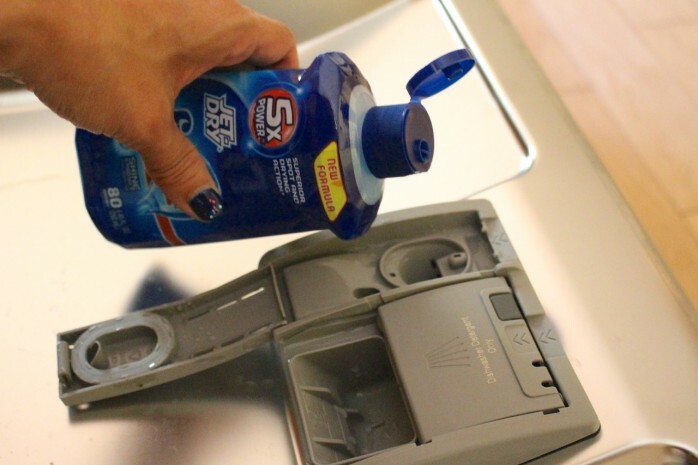 Designed to work with any dishwasher detergent, Finish® Jet-Dry® speeds up drying, fights spots and film and protects glassware to leave nothing but the shine. So bring on the Blueberry Crumble and all your dirty dishes. Jet-Dry® has you covered.